What Type of Salt is Best for Fermenting? I can’t tell you how many times I googled this question when I first started taking an interest in making homemade fermented food. Not just any salt will do when it comes to fermenting foods like sauerkraut and kimchi. It’s vital to check the label when selecting salt for fermenting. 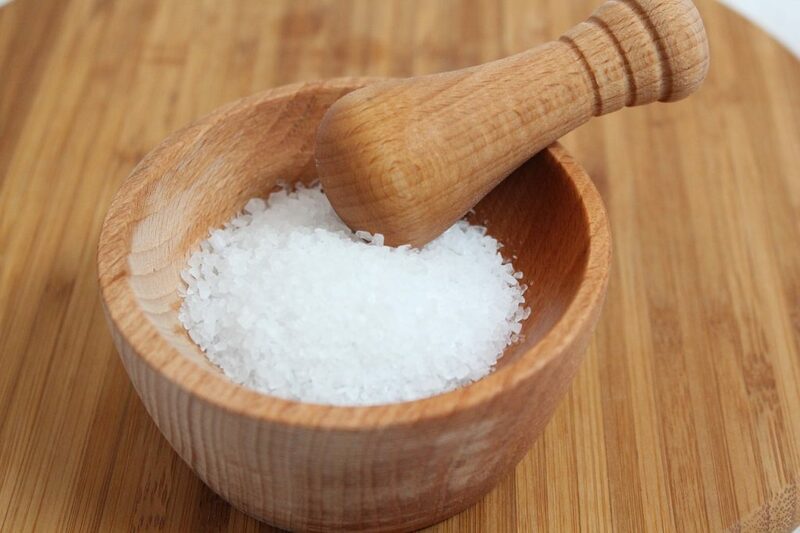 First, let’s start with what type of salt you should not use for fermenting foods. Any type of iodized salt. It’s true that our bodies need small amounts of iodine and iodized salt was created to help combat iodine deficiencies in the 1920s. However, a well-balanced diet today most likely doesn’t have a iodine deficiency. Foods like potatoes, salt water fish, navy beans and even yogurt are good sources of iodine. 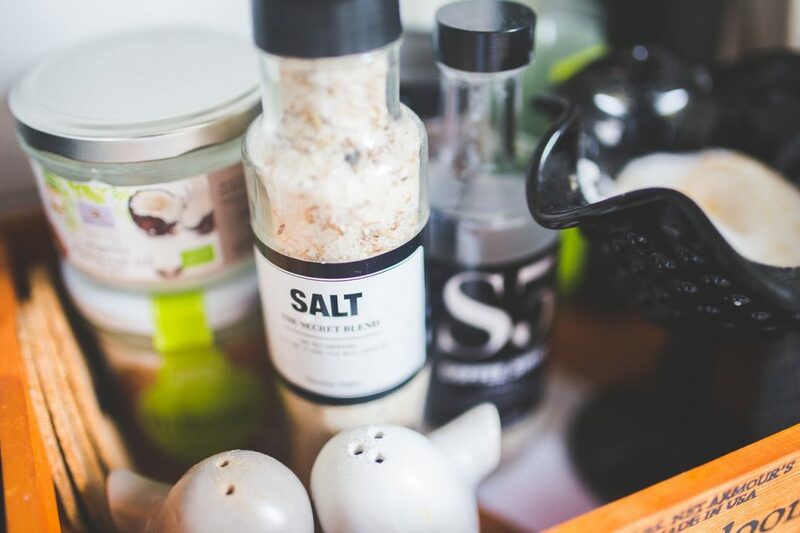 The reason you don’t want to use this type of salt for fermenting is because iodine is capable of killing bacteria and will inhibit the fermentation process. In fact, the first thing I ask when helping someone troubleshoot their vegetable ferment is, “does your salt contain iodine?” It is extremely important to avoid any salt that contains iodine when fermenting food as it will most certainly affect the outcome. From my experience, there is not one single answer to this question. I’ve had success with all three of the following salts and would recommend trying any of them in your next fermented food recipe. If you have one of these in your kitchen already, try starting with that type and eventually compare to others. 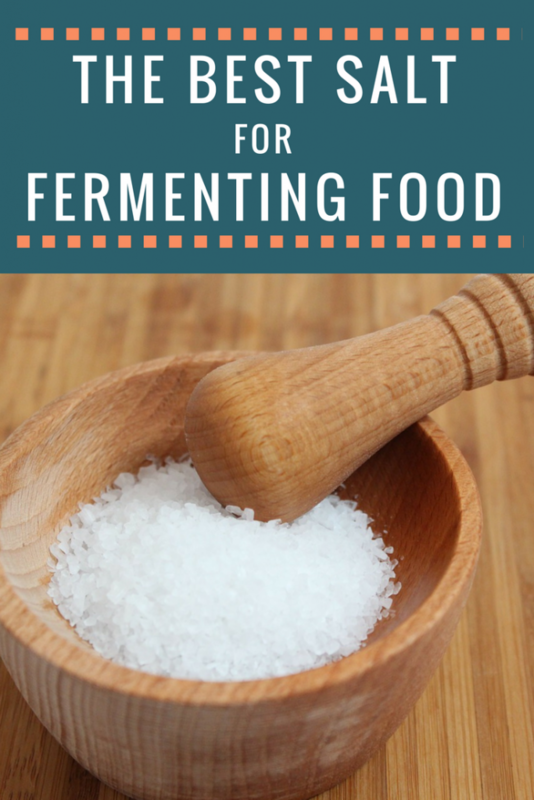 When I first started fermenting food in my kitchen, this is what I had on hand. It worked fine for our first ever batch of sauerkraut. However, it’s grainy and doesn’t dissolve well into a salt brine. Kosher salt does not contain iodine but it can contain anti-caking agents, so be sure to check the package to make sure it’s just salt. Though I have not experienced this personally, I have read that kosher salt can make fermented foods taste more salty. Plain sea salt is a great option for fermenting food! Most of my food fermenting to date has been done with Morton’s Natural Sea Salt. I found it at a local grocery store and it has worked well for all types of vegetable fermenting. The particular salt I have does not contain any additives, but you should always check as formulas can change over time. This is the most recent addition to my fermenting salt arsenal. 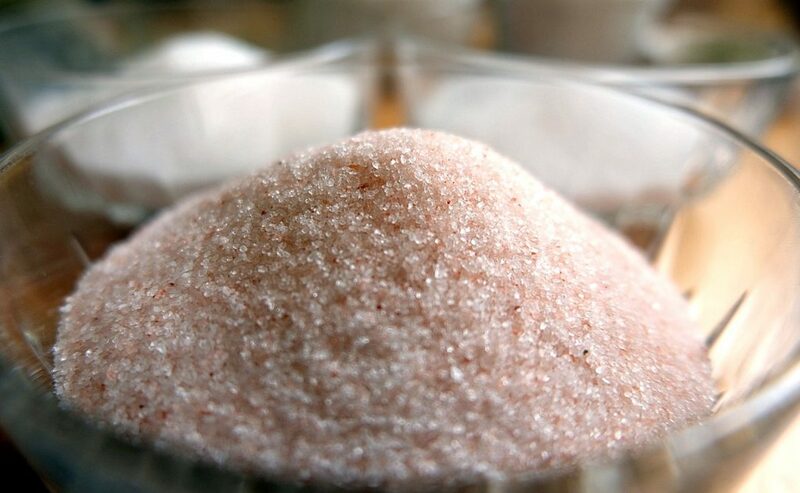 Pink Himalayan salt has been gaining a lot of attention lately because of the health claims associated with it. While research shows this type of salt includes additional trace minerals, the amounts are so small it will not make an impact on your overall well-being. It’s still salt. So, use it in moderation and don’t reach for it to improve your health. I have been using this fine grain himalayan salt because it dissolves in water quicker than the more coarse size salts. It also fits in my salt shaker, so I only need to keep one type of salt on hand for everything. So far, I have not noticed any difference in my ferments, taste or otherwise. I do like that himalayan salt tends to be minimally processed. This is a popular brand in many stores and is a good option for fermenting as well. It is from Utah and is sold completely unrefined without anything added. It also contains trace minerals. Many pickling salts on the market are a safe option for fermenting. It is important to read the label before purchasing, because these salts can have additives for a longer shelf life. I have not used pickling salt as it tends to be highly processed and I personally prefer to use a more natural approach in my ferments. Just like I wrote about in my post on water options for fermenting food and drinks, you can see that there are different options to use for salt. I encourage you to experiment with different salts and decide what you like best. The bottom line is ALWAYS check the ingredients before purchasing your salt for fermentation. What type of salt do you prefer for fermenting? Alana, thank you for sharing. I totally agree with you on the salt selection! My go-to salt for fermentation is also natural sea salt. But I would totally be comfortable using Himalayan pink salt as well. We always eat up the leftover brine so that all the goodness aren’t going into waste. Yes! So many fun ways to use leftover brine! Thanls for the information. I have been reading about fermenting vegetables, but no one tells you what to buy for the salt!